It is not just kiwis and hobbits in New Zealand. They also have hip hop. It speaks to working class Maori kids like Tu and his friends, who are looking for their place in society. They have all kinds of moves, but the national hip hop dance competition has long been dominated by Kane’s well-funded, widely-sponsored K-Crew. A grudge match is brewing between them in Tammy Davis’s Born to Dance (trailer here), which screens during the 2015 Toronto International Film Festival. If Tu does not figure his post-high school life out fast, his Sergeant father will enlist him in the army. He thinks he sees his opportunity when K-Crew, the reigning dance champions, invite him to audition. This is no mere cattle call. For weeks, Tu will travel to Auckland to participate in the long term process-of-elimination tryout. Naturally, he keeps it secret from his own crew, led by his lifelong platonic pal, Vonnie. Only his semi-delinquent buddy Benjy knows the truth. Of course, Tu has the right stuff, but all the special attention he gets from Kane’s girlfriend Sasha could be a problem. Frankly, she knows he is pretty scummy, but her snobby, absentee parents only let her stay in New Zealand to dance as she wishes as long as she is still part of a winning squad. She therefore needs Kane. BTD features a ridiculously charismatic cast in a total Arthur Murray dance-by-numbers screenplay. It is a lead pipe cinch Tu and Kane will eventually face each other. Yet, that hardly matters as long as Davis and choreographer Parris Goebel keeps the energy cranked up. There are some cool dance sequences distributed throughout BTD, but nothing tops the wildly inventive moves Tu’s crew uncorks during the first round of the nationals. On the other hand, it is hard to take K-Crew seriously, because most of their routines bring to mind Mike Myers doing Dieter on Sprockets. Former So You Think You Can Dance contestant Kherington Payne shows more presence than you would expect from Sasha. In contrast, Tia-Taharoa Maipi is likable enough, but a bit of a dramatic lightweight as Tu. However, Stan Walker is the real breakout discovery, demonstrating considerable range and all kinds of dance floor cred as the sensitive bad boy Benjy. Yes, there are some real moments, but Goebels’ choreography is still not as distinctive as Yako Miyamoto’s taiko drumming and dancing that so distinguished Make Your Move. Nevertheless, BTD has more fire and grit than an army of Step Up clones. The fact that Tu, Benjy, and Vonnie are Maori is very important to the narrative, but it is not belabored to the point of distraction. This is a dance film not a social issue drama. In fact, it is a rather enjoyable one, in an underdog-Horatio Alger-kids from Fame kind of way. 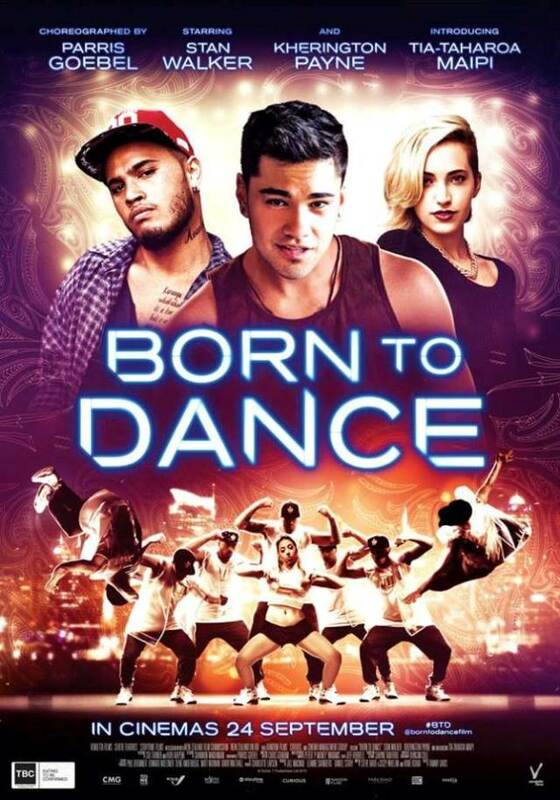 Recommended for dance movie fans, Born to Dance screens again tomorrow (9/13) and Friday (9/18) as part of this year’s TIFF.